Home » Blog » What is the difference between FFC & FPC? FFC refers to any type of electrical cable which is flexible and flat whilst an FPC is a flexible printed circuit. What can FFC be used for? 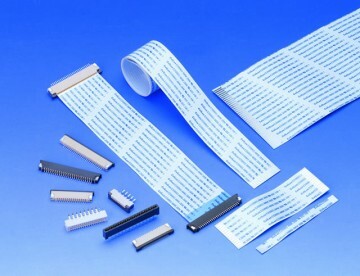 FFC (flexible flat cables) are a type of ribbon cable, so named due to their wide flat structure. They are usually a straight connector, without any additional components. FFC cables usually consist of a plastic film, to which multiple metallic connectors are bonded and the spacing between each connector is referred to as the ‘pitch’. The construction of FFC cables means they take up less space and offer greater flexibility than round cables and often offer better EMI/RFI suppression as well as eliminating wire coupling issues. 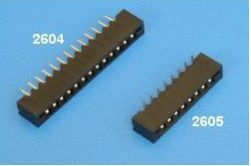 They tend to be used in high density electronic systems especially where high-flexibility is required, for example connections to a moving printer head, folding mobile-phones or where there are weight or space limitations. Leotronics offers a selection of FFC cables with 0.5mm, 0.8mm, 1mm, 1.25mm and 2.54mm pitch options suitable for soldering or pug-in connections. Let us know your specific requirements including number of connectors, pitch, length and terminal type and our experienced team will provide you with a quote for a custom designed FFC cable. To complement our range of FFC cables, Leotronics offers a range of FFC connectors suitable different pitches. What can FPC be used for? A Flexible Printed Circuit is also an example of flexible electronics and consists of a flexible polymer base on to which a conductive circuit can be printed, before being sealed with a protective polymer coating. More than just a connector, the FPC is a circuit board which is lighter, thinner and offers increased flexibility compared to a traditional rigid circuit board. Its flexibility increases its durability and reliability, makes it ideal to use instead of a rigid circuit in high-flex electronic items or where weight and or space are limiting factors, such as consumer electronics, hearing aids and flexible solar cells in satellites. Leotronics offers a selection of FPC connectors to suit your requirements.